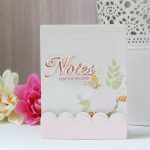 With garland headpieces so on trend, I thought I would use Bitty Posies Etched Dies from Happy Grams #4 Collection by Tammy Tutterow to try and create one. I can honestly say that I was very happy with the results. The versatility and possibilities of this set makes it a “must have”. 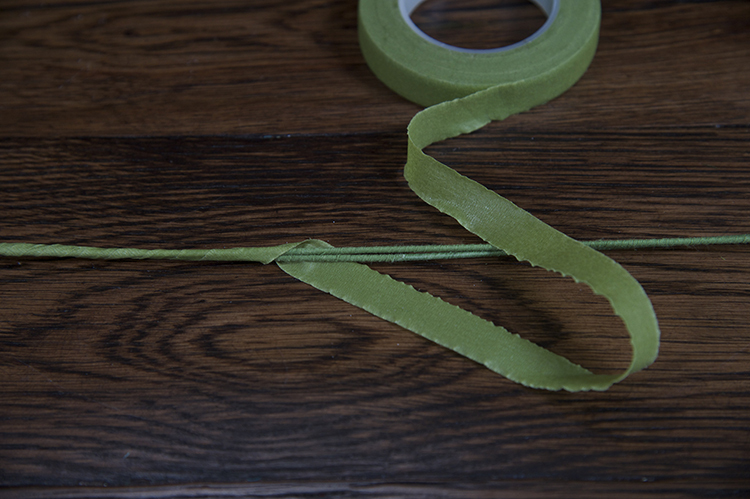 Wait until you see how easy it is to make this project. 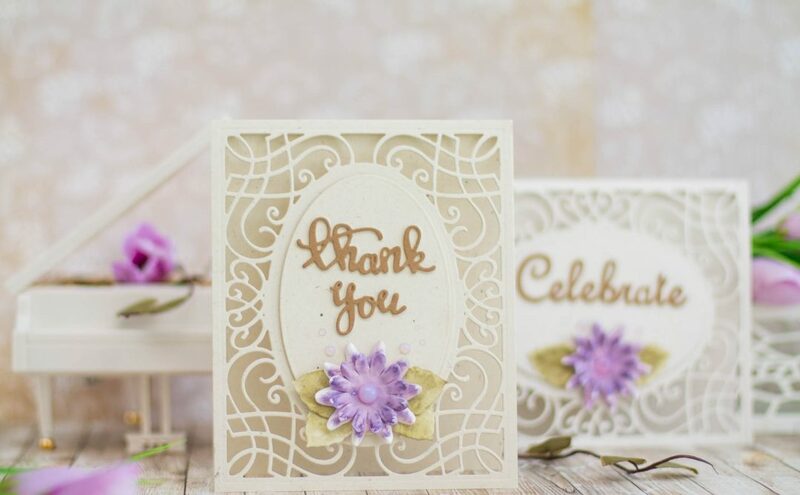 Die-cut approximately 35 Sprigs from various shades of green paper, using Bitty Posies Etched Dies and Platinum or Platinum 6 Machine. 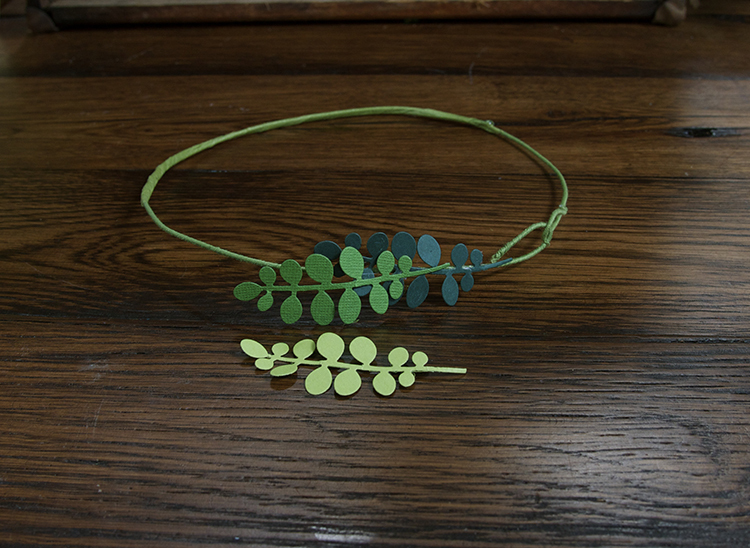 Attach two pieces of floral wire together to make headband form, overlapping by several inches. (It will take two pieces of the wire to make it long enough to go around the head.) Measure headband to fit size of head plus 2 inches and trim off excess. 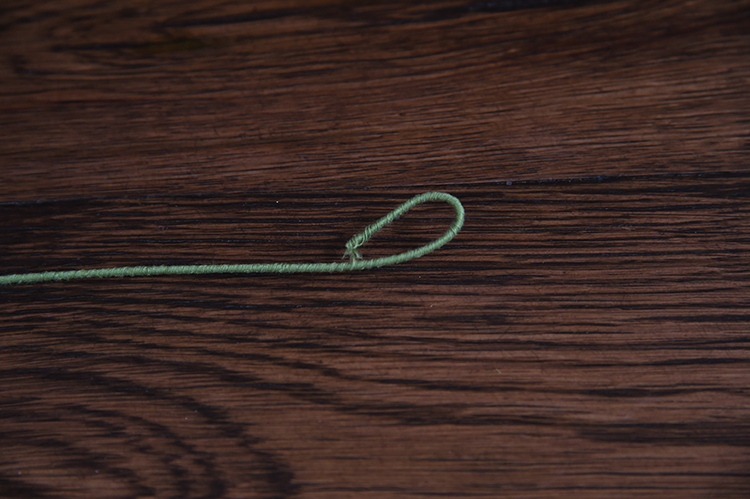 Create a hook and on either end of wire. 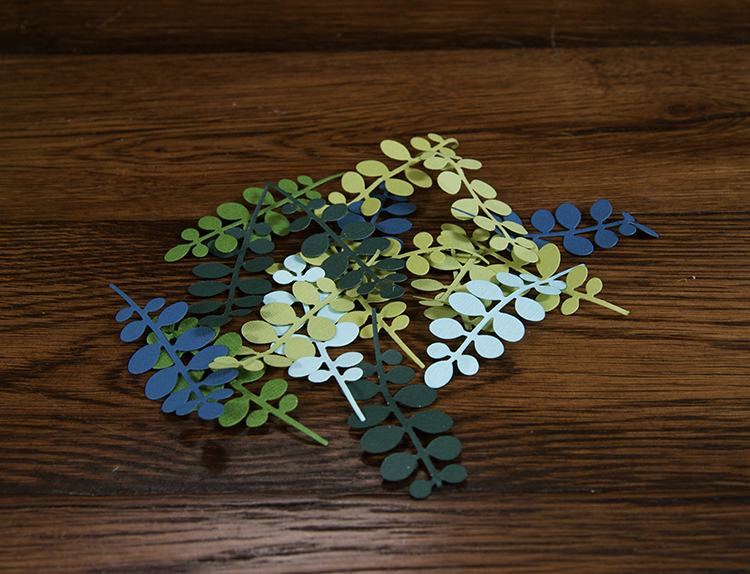 Attach sprig die cuts to wreath using hot glue. Continue the length of the wire, ending close to the end of the loops. 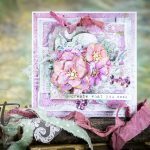 Die-cut Bitty Posies Etched Dies Flowers and Geranium Dies from paper and felt. 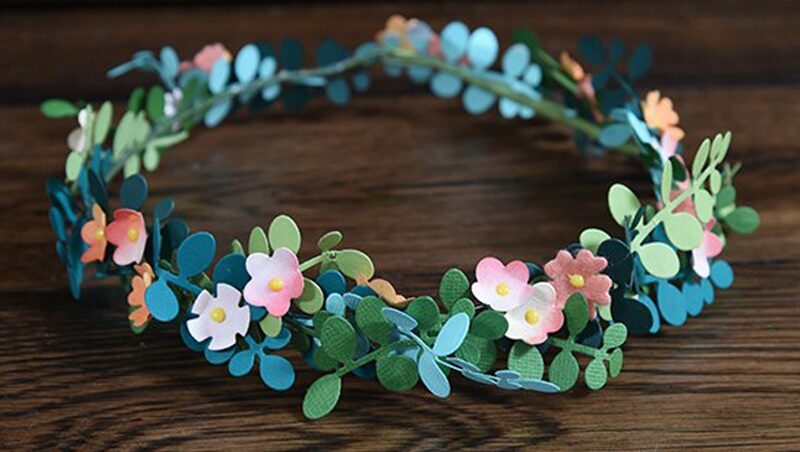 Attach flowers to wreath where desired. 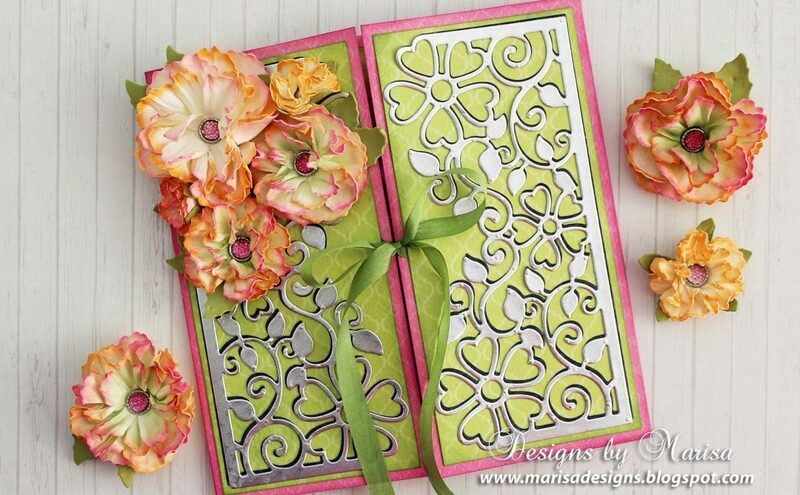 Embellish center of flowers with Nuvo drops. Well, does it seem easy enough? Would you give it a shot? 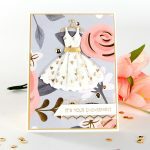 I love making cards but I think it’s nice to discover a different way to use dies. I believe that creativity begins with the imagination. 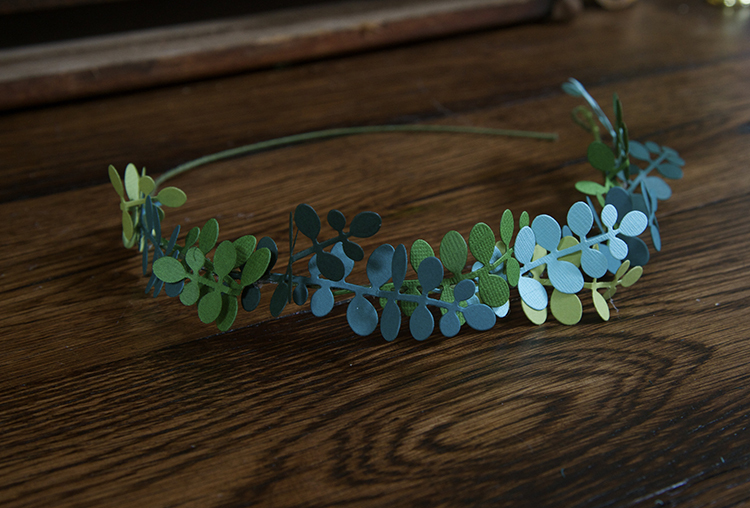 * Tip* A variety of green cardstock makes a big difference when creating this headband. It adds color and dimension as well as contrast. Thank you Eileen. 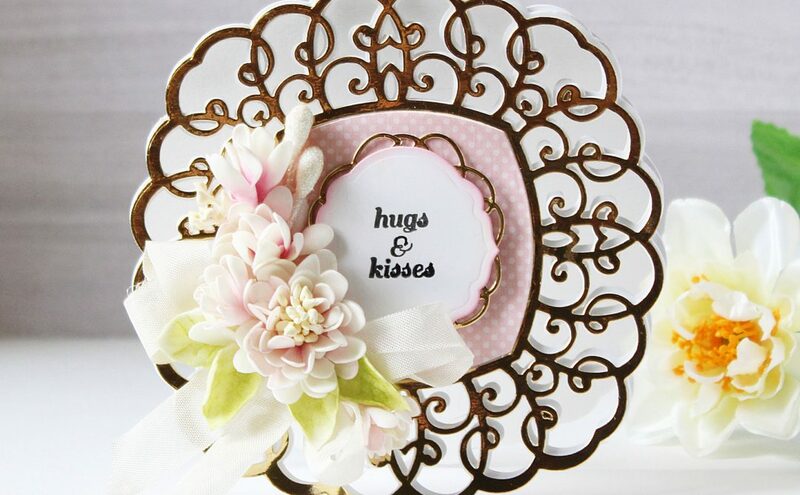 So sweet of you! 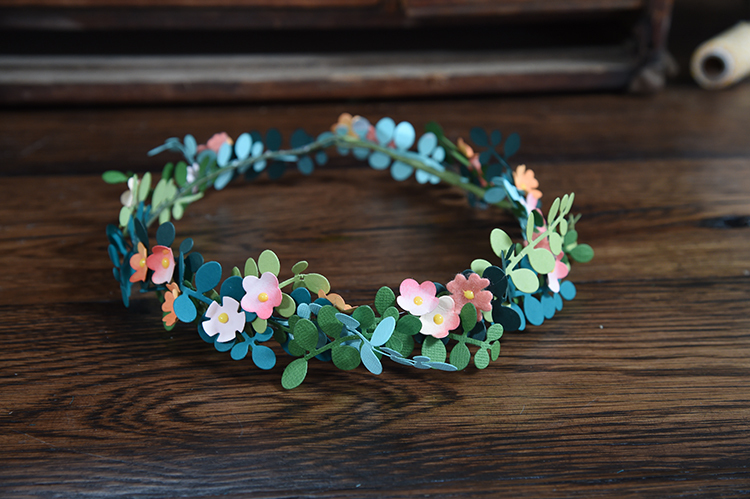 This would also be beautiful in a bride’s wedding colors.